Business relevance is one of the Criteria for approving icons to Iconfinder that our Content review team carefully follows. The icons that we approve to be included in the Iconfinder marketplace need to be relevant to customers. Thus, creating icons that meet a real demand increases the likelihood that they will get good sales. Before creating a set of icons, we recommend that you ask yourself this very important question: Where could these icons be used? It is recommended that the icon set as a whole is relevant for customers. 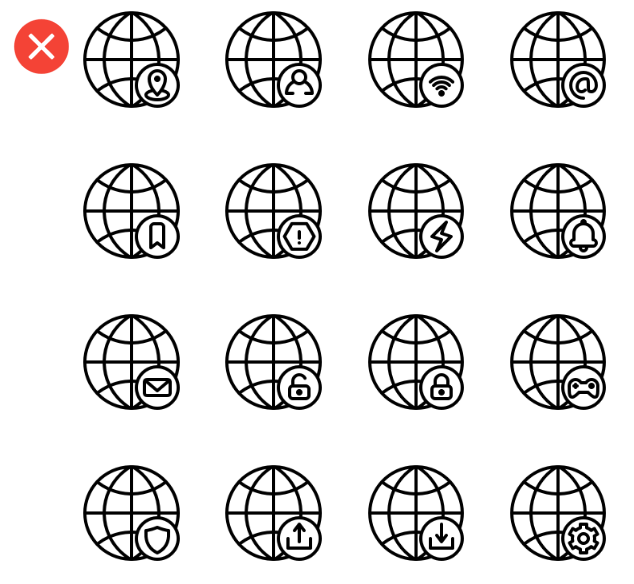 Customers buy sets that contain icons that are complementary to each other, so they can all be used together on the same website, app, presentation etc. They are looking for consistent icons that fit well together. For example, a set of UI elements - containing icons for click, search, print etc. - will sell very well. On the contrary, a set that contains many variations of the same icon will sell poorly, as no customer would need the whole set. Most likely, customers would buy one icon from that set at most. In the example below, a UI set with almost identical icons is not interesting from a business perspective. 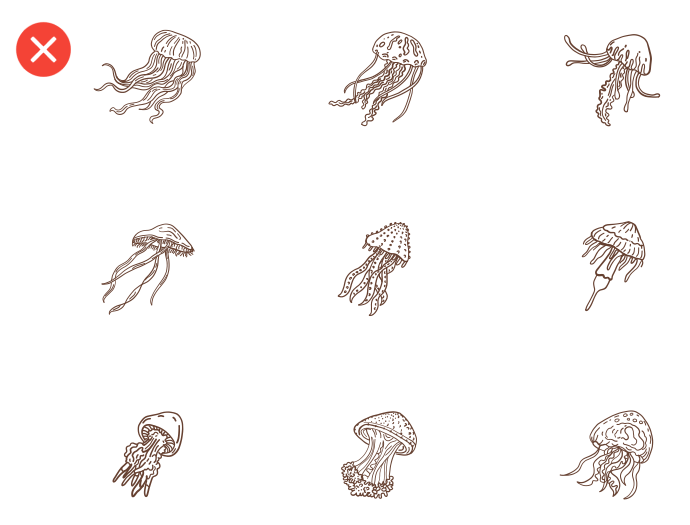 As another example, the set below is beautifully drawn, but a set containing only jellyfish icons will most likely not sell well. Instead, the set could be about underwater life and contain other animals, plants etc. Some categories and themes on Iconfinder already have a lot of icons, but don't sell that well. Two examples are 'Country flags' and 'Weather sets'. We have thousands and thousands of country flags and weather icons in every possible configuration. The problem is, every other designer had this same thought and now we have way too many icons that are almost all the same. The result is that very few designers make any sales when this happens. The irony is that this often happens in categories where there are not a lot of sales to begin with. The point is we try to tailor our marketplace to serve what customers want and need. The best policy when choosing icon sets to create is to find a category that has medium to high demand, but not much supply. To get to know more about demand for icons on Iconfinder, we strongly recommend you to check out our Icon designer reports. 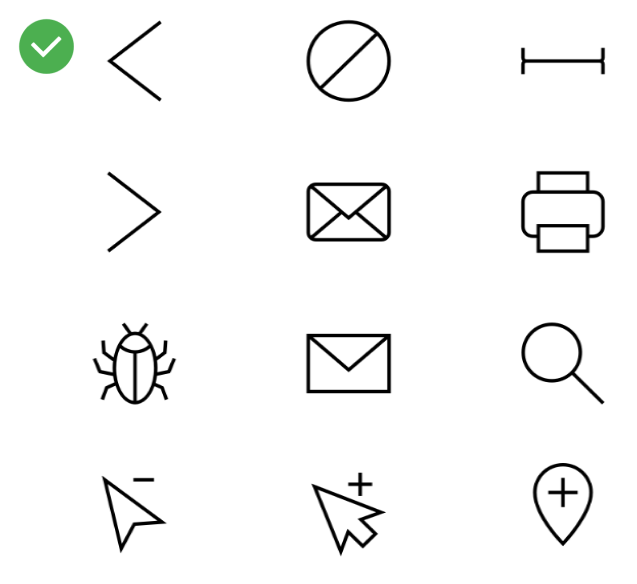 Check all of our Criteria for approving icons.